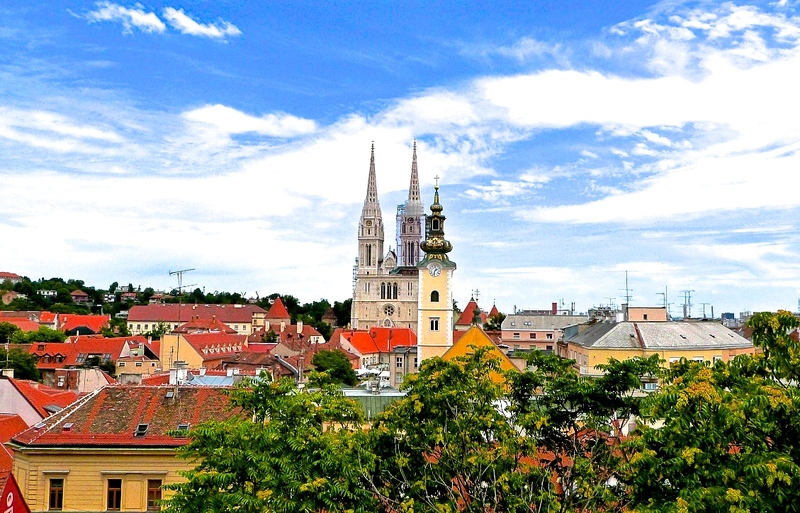 Often overlooked as a major city, Zagreb (the capital of Croatia) is an up and coming must see destination. 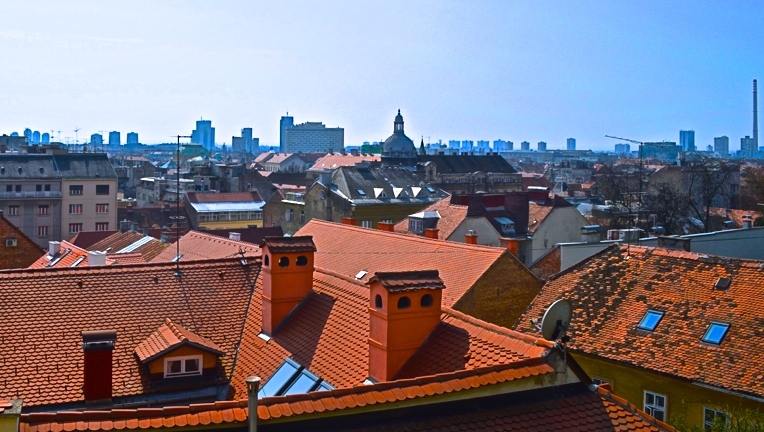 While the county is often known for it’s quaint coastal cities, the inland city of Zagreb has a charm of its own. The city has a combination of Austro-Hungarian and socialist architecture, which give it a unique personality. 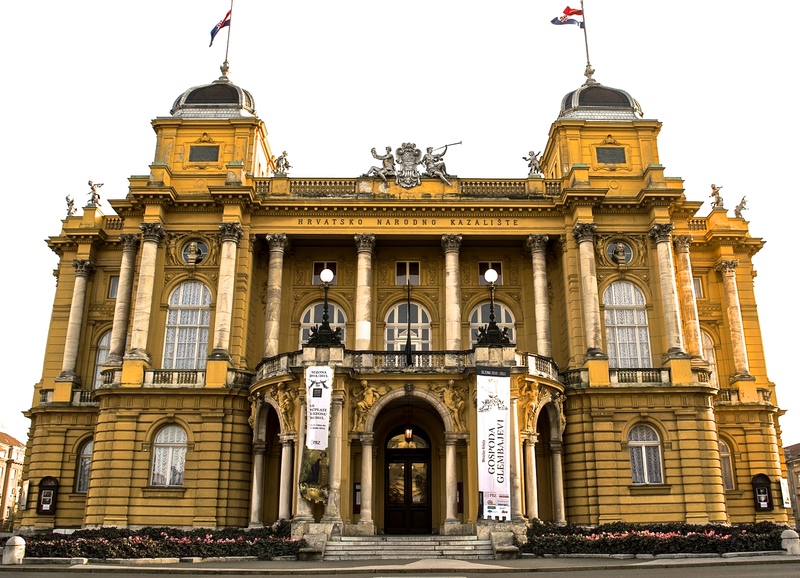 Zagreb is the perfect destination for anyone looking to stroll through cobblestone streets, spend an afternoon at a café, explore museums, or dine at unique restaurants. If you plan to make your way from Zagreb to the coastal cities of Dubrovonik and Split, it is best to visit Croatia in the summer. The summer months are incredibly sunny with temperatures averaging about 21C/70F. 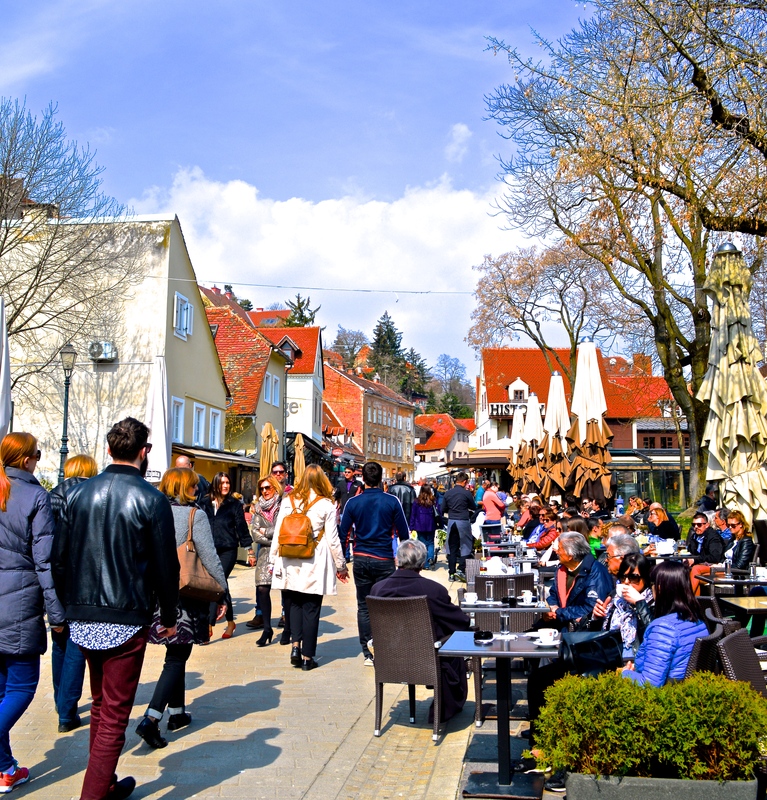 Spring and fall are also good seasons as there are less tourists during this time and it is great for experiencing the parks and buzzing markets. We visited Zagreb in the middle of March, which during the daytime was pleasant with temperatures about 10C/50F, however, the evenings were cold. Dress according to the season and carry layers. With all the outdoor walking and activities, sunglasses are advisable, especially in the summer time. Most places take both cash or credit card, but it’s better to keep both just because smaller restaurants and shops may only take cash. Free Wi-Fi is easy to find throughout the city, so bring a tablet or phone with wifi connectivity. Non stop flights to Zagreb (ZAG) can be found from London (LHR), Munich (MUC), Istanbul (IST), Amsterdam (AMS), and Copenhagen (CPH). If traveling to Zagreb from within Croatia, the most efficient means of travel would be by bus. If comfortable with it, another option would be to rent a car and drive from city to city. The inter-city highways are some of the best I’ve ever seen as they are well maintained and fairly easy to drive on. St. Mark’s Church is a popular landmark in Zagreb as it is one of the oldest buildings in the city and is easily recognizable amongst the other buildings due to use uniquely colorful roof. If visiting between April and May, a changing of the guards’ ceremony can be seen outside the church at noon on Saturday’s and Sunday’s. Explore Tkalčićeva Street. This street is lively with many shops and places to eat and drink. At night, the street is beautifully lit up and perfect for an evening stroll. Visit the local markets. One of the most famous markets in the city is Dolac market, which can be found right in the city center. The market is so colorful and full of fresh locally grown produce, definitely something worth seeing. It’s a great way to immerse yourself into the local culture. Catch a show at the ostentatious National Theatre in Zagreb. Take a trip to Mirogoj. It may seem strange that a local cemetery is a tourist destination, but this Austro-Hungarian style cemetery has beautiful archways and lush greenery. Mirogoj is also much more than a cemetery, throughout the memorial park lie sculptures designed by local Croatian artists. The Wine Bar– The Wine Bar is a trendy and classy bar located just outside the main square in the city center. What caught our attention was the distinctive outdoor seating. Outside the restaurant are two individual glass box rooms, candlelit, with high rise tables. The wine bar has a wonderful selection of wines and cheeses. Boban– Located in the city center, Boban is a chic Italian restaurant and bar. On one side is a cozy bar/lounge and on the other is the restaurant. The décor is eclectic with dim lighting and chalkboards. The menu is extensive with something for everyone. The soups and homemade pasta were really good.